Having trouble keeping track, and preparing for sales meetings? Not to worry, Lowdown, launching December 20, will be your personal secretary and prepare you for any meeting. This new app will keep you informed, prepared and up-to-date on the people and companies you have meetings with. Lowdown uses the data on your smartphone, online accounts and public web services, so you don’t have to manually search through Google or tediously search through other apps. You will be notified before each meeting with an in-depth view on who will be attending, where the meeting is, what relevant news might affect the meeting, and more. 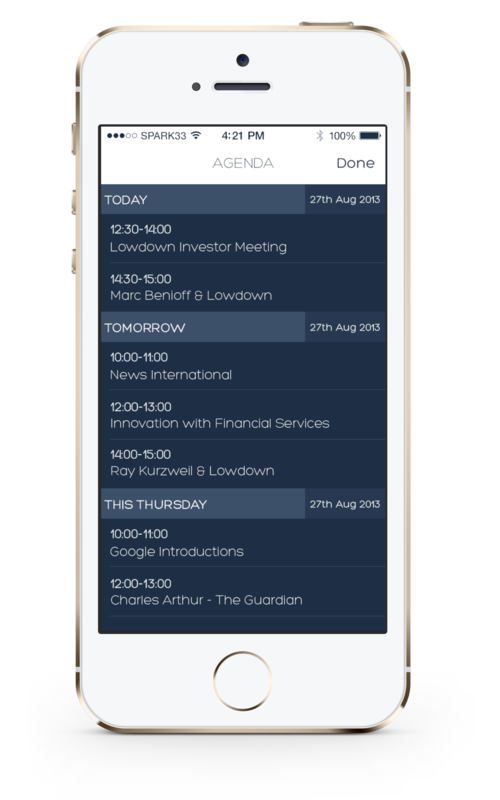 Instead of taking the time to look all of these things, Lowdown collects the information and delivers it to the palm of your hand. Beta Test, comment, or elect to get notified the moment this app hits iTunes!